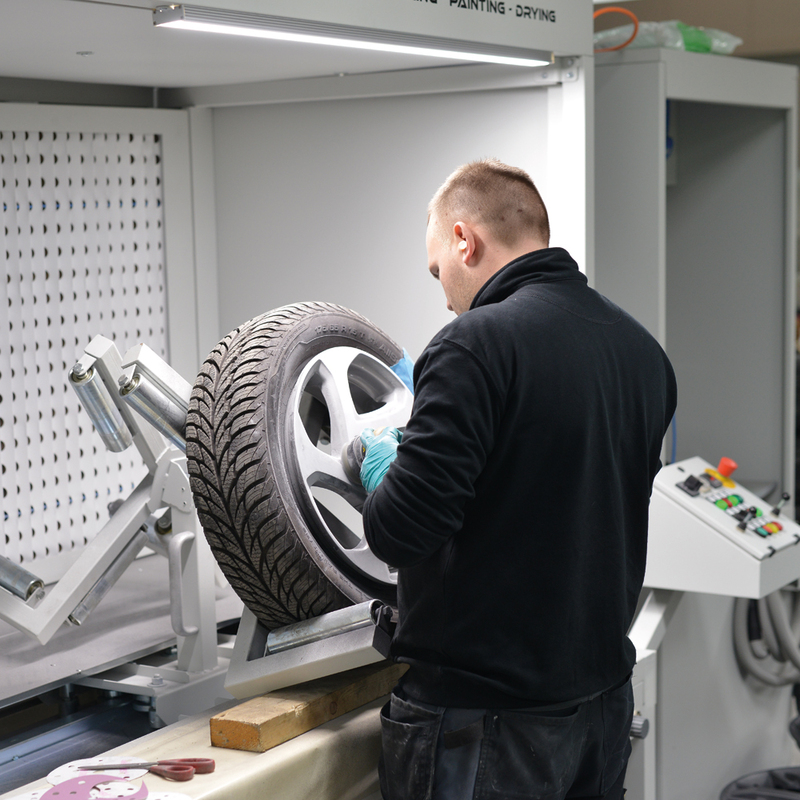 The WheelStation (WS) is a workstation for repairing wheels. It occupies two working spaces connected with a circular rail; one is for sanding and spraying and the other is for baking paint products. The working space for painting and sanding has the air extraction vertically in front. 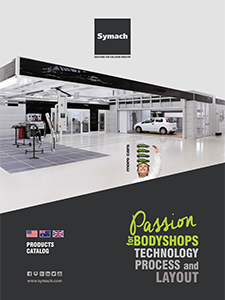 Because of this, the technician can properly apply body filler and spray primer, waterborne and clear paint, without any problem from the overspray because a filter and an air extraction fan removes it during the spraying phase. 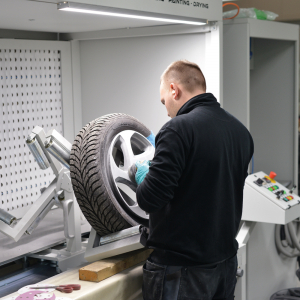 The oven for baking paint uses Drytronic technology so the time to dry a painted wheel is only five to seven minutes. 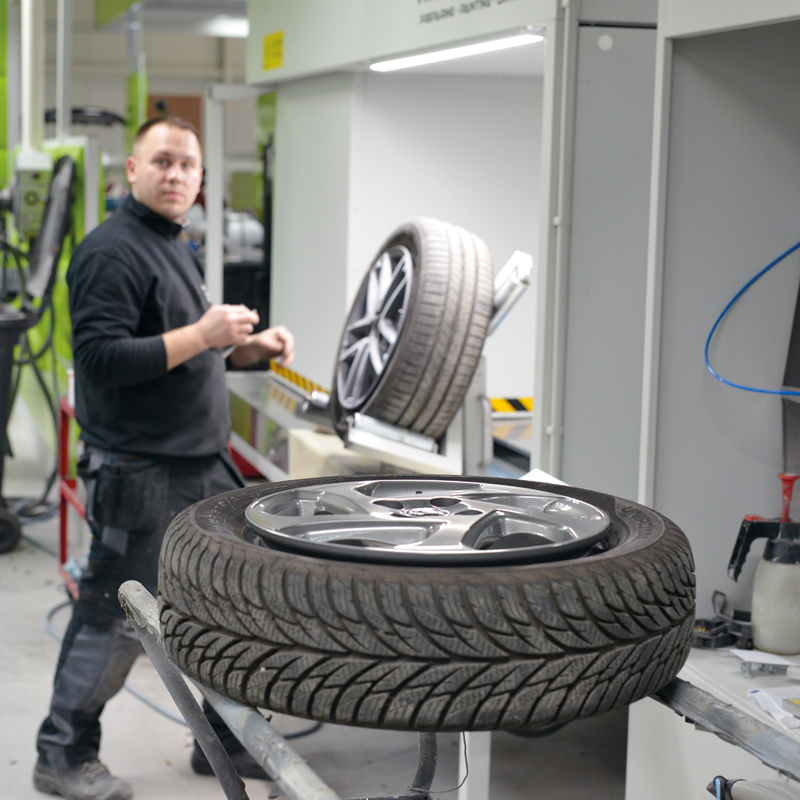 The WS has two stands for the wheels that both move on a circular rail system. This connects the oven to the workspace, allowing a technician to push the wheel on the rail with a limited effort. 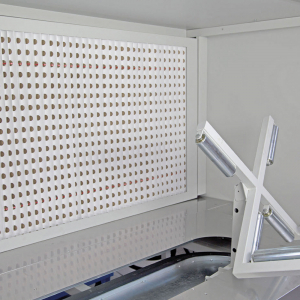 The drying process can be programmed with a preset time and a different temperature for body filler, undercoat, water base and clear lacquer, and the machine automatically dries and checks the temperature setting. 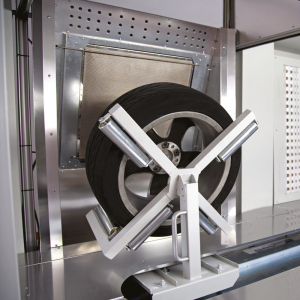 The oven of the WheelStation uses DryTronic technology for drying. – 6 to 7 minutes for clear. 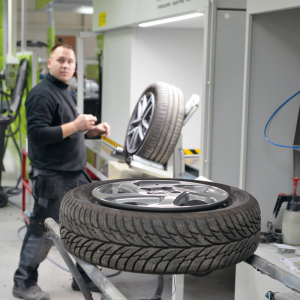 The WS can repair wheels with tires installed for a total diameter of 1 mt or 3.2 ft. The dimension of the WS is: H 3 x 3,5 x 1,3 m or H 9.84 x 11.48 x 4.26 ft. 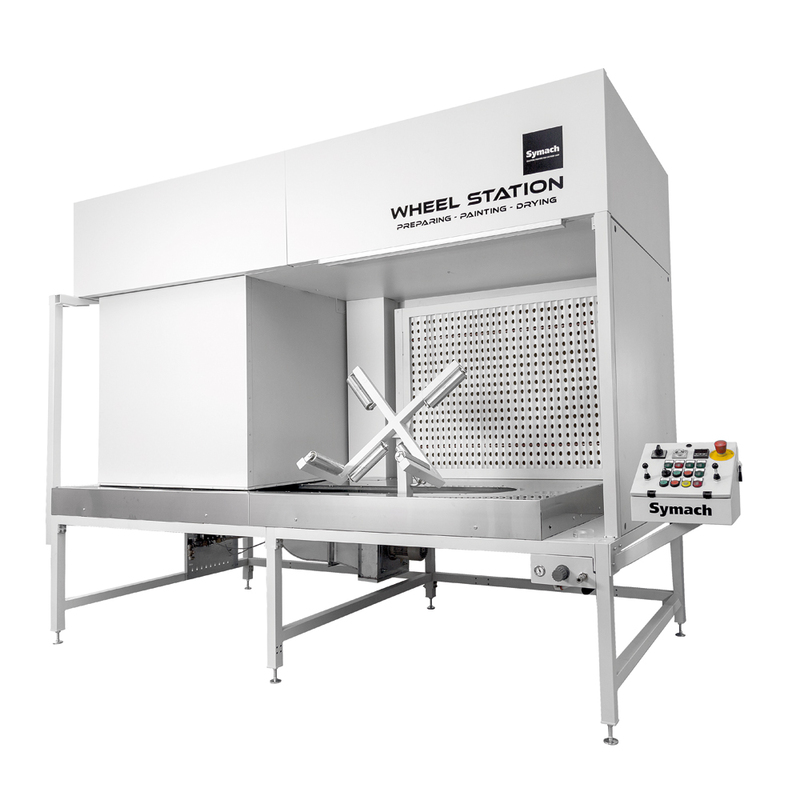 The WS has two stands for wheels and a circular rail system that moves the stands from the workspace to the oven and vice versa. 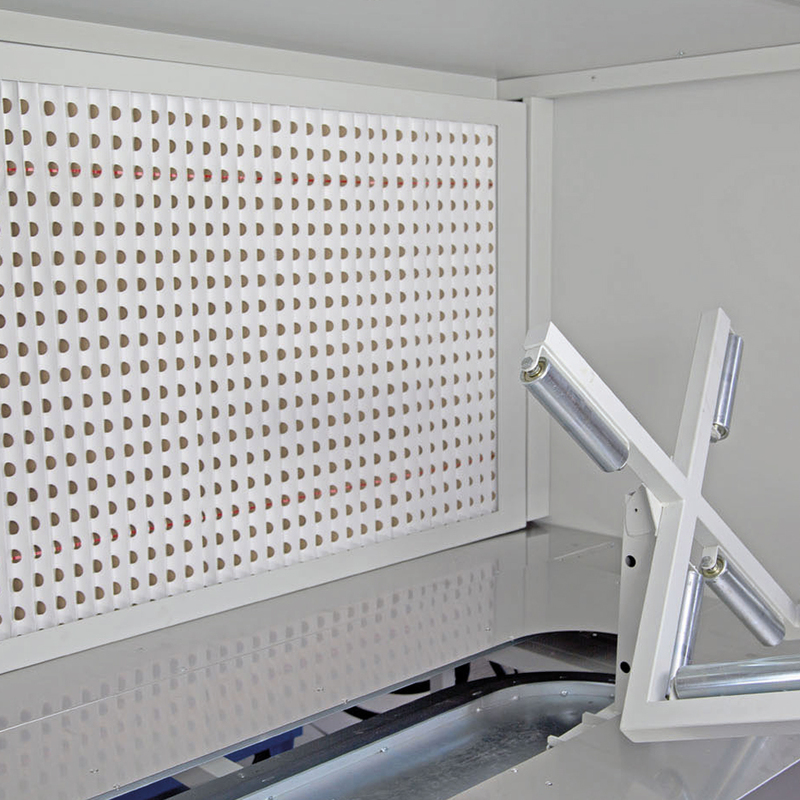 The WheelStation’s computer automatically manages the drying treatment, controlling the time and temperature set. 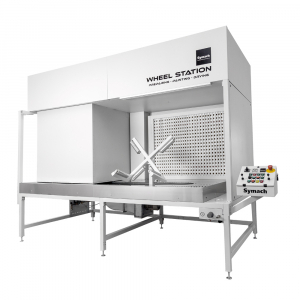 The WS has the air extraction ventilation for spraying paint with an air fan of 10,000 m3 per hour or 350,000 CFM. It also has air fans in the oven for the inlet and outlet air to remove gas and solvent produced during the drying phase.